During the pursuit of stripe patterns, I came across Tao's 81 verses and was attracted to the dense words. The cosmology resolved some matters and encouraged me at the same time. I decided to express the Tao's world with simple stripe patterns. When I was designing, Tao was getting into the mind of me. 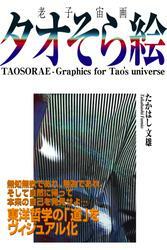 The stripes's waver is fluctuation of Tao's words and it was like linguistic resonance.